This is what you do to your PokeBabies, you monsters! D:< *throws out another Beldum* Muh buddie, Reg (some may know him as one of two KakuCraft RPG server admins) ended up starting the idea of this one for me. Just chattin', we were, when he suddenly interjected "Oh! One of my eggs hatched!... GENTLE NATURE!? GETOUUUT!" Good ol' Reg and his baby-genocide. I hope no one's too thrown off by the new color-style. Others, and especially Tenoreo, kept commenting on how much they liked the last comic's style, so I went to work on making a brush that would better emulate a crayon. Honestly, I enjoy it. The comics are usually on the more light-hearted side so I feel it kinda fits. At the very least, it looks more like Yoshi's Island's intro/Yoshi's Story, so yaayyy? I found Puppeteer on sale on the PS store for like, $19 bucks and I was like “How bad does this game have to be to go on such a good sale so quickly?”. But WOOPS, it’s amazing. It’s filled with such a whimsy I haven’t felt since James and the Giant Peach. And what’s more, Lily can be my P2 and she’s actually not bad at it. Too bad I don’t have my desktop with the capture card, or else I’d have recorded us. Ahh, but such is life until I throw down $200 to have it shipped here. The gaming channel updateth: Majora’s Mask has been getting updates, and I uploaded part 1 of 2 of my Rogue Legacy LP. And this, children, is how our lord, Kakujo, was born. Some say, that on a cold night, you can hear the howl of Kakujo on the wind. Listen, children of man, listen. For his cry is most distinct, “This Gyrooooo~” “This Gyroooooo~”. It’ll start raining in earnest on the Wet Coast soon, and it wont stop until May at best. 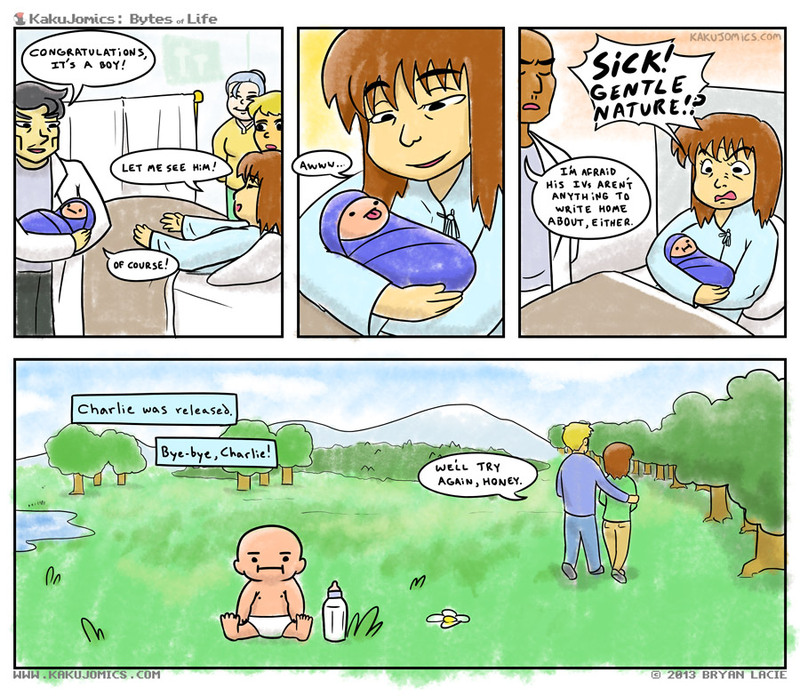 Charlie you are such a freaking disappointment. Is it bad that I’ve considered IV breeding/EV training boring and missing the point and never bothered with it? Not at all! Personally, I don’t play the IV game. I don’t do online so there’s really no point.